Yoga today has become a popular therapeutic approach to improving the quality of a person’s mental, emotional, and physical state. However not a lot of people are aware of the fact that Yoga is only one part of the holistic treatment method to improve the mind and body balance – the other part and equally important is the practice of Ayurveda. A 5000 year old natural healing technique, Ayurveda aims at eradicating ailments through addressing three of the basic components that the body is made up of – fire (pita), air (vata), and water (kapha). Practitioners of medicine and alternative therapies both agree on the fact that a human body is made up of elements and chemicals, and also that energy – both external and the one emitted by the body – has a profound effect on our psychological and physiological health. The Ayurvedic approach harmonizes and brings a balance in these elements; consequently causing a marked improvement in the overall health. 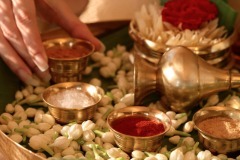 Email us at contact@10yearitch.com for recommendations on Ayurveda Treatment centers. Literally translated to mean ‘the science of life’, Ayurveda promises both preventive and curative treatment options for a number of ailments. Like modern medicinal procedures, Ayurvedic treatment too is characterized by an overall individual approach based on the adage that one size does not fit all. 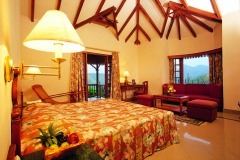 Ayurveda sessions are tailor-made to suit an individual’s lifestyle, preferences, and requirements. A life-altering practice to promote wellness and health in the body, Ayurveda ensures that a proper mind-body balance is maintained. A non-invasive procedure that treats every problem differently by working from the root up unlike topical medicine. Purges the mind of negative motions and pent up feelings that often lead to depression and anxiety. Helps to determine the proper nutrient and vitamin requirements of the body and lays down step for its effective absorption into the body. Improves the metabolism rate of the body to burn fat and to metabolize proteins, carbohydrates, and nutrients to give energy. Thus reducing lethargy and certain chronic pain symptoms, and increaseing productivity. Particularly helpful in removing toxins from the body. Improves the concentration power of the brain. When combined with Yoga, Ayurveda significantly helps in alleviating stress and structuring the brain to change the way the it reacts to stressors. The diet prescribed (as per individual requirements) is beneficial in weight reduction and management. For those seeking a natural way to lose weight without subjecting the body to harmful chemicals can turn to Ayurveda for their custom-made diet. The main benefit of Ayurveda is complete alignment of the mind and body to initiate positive changes in health and wellness. India, the very origin of this holistic alternative healing method, is fast becoming a popular Ayurveda treatment destination for people all over the world. Given the therapeutic benefits of the procedure, and the proven track record a good percentage of the Indian tourist surge can be attributed to the Ayurvedic centers panning the nation. Considering that Ayurveda has been practiced for centuries in India and of late there has been marked innovation and modification to help cater to a wide variety of ailments and diseases, the pioneering country has set a benchmark in quality Ayurveda treatment. So, what are the diseases/conditions that Ayurveda treatment in India can help with? Chronic pain especially headache, back ache, and a lot of other muscle and bone related problems including arthritis and osteoporosis. 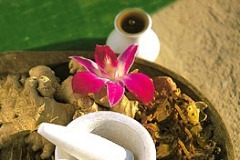 Ayurveda works by understanding the core of the problem and then focuses on the treatment. Asthma and other respiratory issues. Allergies and infections. Ayurveda has been particularly deemed efficacious in the treatment of chronic bronchitis, sinusitis, and recurring tonsillitis. Skin conditions including but not limited to acne, eczema, psoriasis, and urticaria. Gastrointestinal problems including but not limited to irritable bowel syndrome, gastritis, acidity, chronic constipation, and other chronic digestion problems. Age related problems such as uneven sleep pattern, stress, depression, and digestive disorder. Lifestyle problems including but not limited to obesity, diabetes, high blood pressure, and high cholesterol. Irregular menstrual cycle, post-menopause depression, fibroid and other women-related problems. Although there are a number of Ayurveda centers all over India, the most renowned of them are in the Southern part of the country. Some tourists fly to the country specifically to purge and rejuvenate using Ayurveda as the medium, while others combine their India vacation with a couple of days’ retreat in an Ayurveda centre.